Economic development not only brings prosperity of the country, but also triggered a series of environmental problems, as the rapid development of the security industry is no exception. Then for security products as an important part of one of the identification system access control, energy saving application status and how is it? Access Control System, also known as access control management system (ACCESSCONTROLSYSTEM), is a management personnel access, intelligent management system, is summed up: what time management who can access those doors, and provide access to the report after the event, and so on. Common access control systems: password access control systems, contactless card access control systems, contactless card access control systems, biometric (fingerprint iris palm type) access control systems. Now widely used are the two main access identification system: contactless cards and contactless card access control systems. Contactless cards require the cardholder identification card and access device in contact, in order to read the card information; instead the contact card access control system access control card within a short distance from the access control identifier, it is possible to identify and record information . 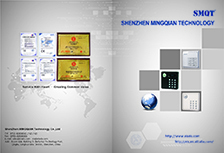 Both mainstream recognition access control system can be said to identify high, high accuracy, access cards, small size, easy to carry around. Bank cards, bus card are extending application access identification cards, the scope has penetrated into all aspects of life. After random interviews, we found that two-thirds of people have at least two access cards, bank cards and card bus card, there are a lot of people armed with three or more. From the viewpoint of energy saving and environmental protection, China has billions of dollars of the population, access card holdings is considerable, then the circulation of all kinds of access cards is immeasurable. Therefore, I consider, to promote more card if the card is not only easy to carry and use, but also can greatly reduce the number of other cards issued. This is to some extent being eased card wastage of resources, but also in line with the concept of energy saving. 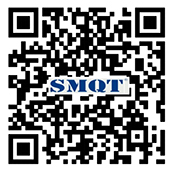 In recent years, with the development of biometric technology, access control system has also been new progress. Biometric technology has entered a mature stage, the biometric access control system will be more and more, including fingerprint access control systems, access control systems iris, facial recognition access control systems. Not only do they have their own expertise in safety, convenience, ease of management and other aspects, the most important thing is more in line with the trend of energy saving. Biometrics makes it the number of sheets in the handheld without access cards, and only the face, eye iris or fingerprint reader in contact with or in close range scanning, you can identify, you can significantly reduce the access card production. However, biometric technology to perfect it? It is understood that biometrics on the environment and user requirements are higher. For example, a fingerprint can not appear scratches, redness bleeding eye can not, can not have facial injuries, etc., and even how much beard will affect the recognition accuracy and sensitivity. At the same time, the installation height and good user height adjustment. It can be said, if the biometric identification system access control into the mainstream, so a lot of big energy saving meaning it produces will bring value than the technology itself, so the popularity of biometric access control systems for the security industry, energy saving is significant However, how the energy-saving advantages and benefits of biometric access control card combines traditional, this is the enterprise security access control needs thought. Universal biometric access control system is not the lack of support for technological progress and the country. Through national support funds to support, reduce technology costs, in order to vigorously promote the integration of technology and product promotion.